Dr. Daldin Marsh graduated from Michigan State University with her Doctorate in Veterinary Medicine in 1988. She has always felt that all types of animals deserve high quality and compassionate veterinary care. Outside of the clinic, Dr. Marsh loves spending time with her husband, two children, her dog George, six birds, two goats, and more! She also dedicates much of her time outside of work to The Creature Conservancy, an interactive "Hands-On Zoo" (right here in Ann Arbor) founded by her husband, Steve Marsh. Dr. Hochstein is originally from Florida, but now considers Michigan her new home. She completed her undergraduate work at Florida State University, graduating with a degree in Biochemistry. During this time, she worked at a mixed animal veterinary hospital and volunteered at the local animal shelters. 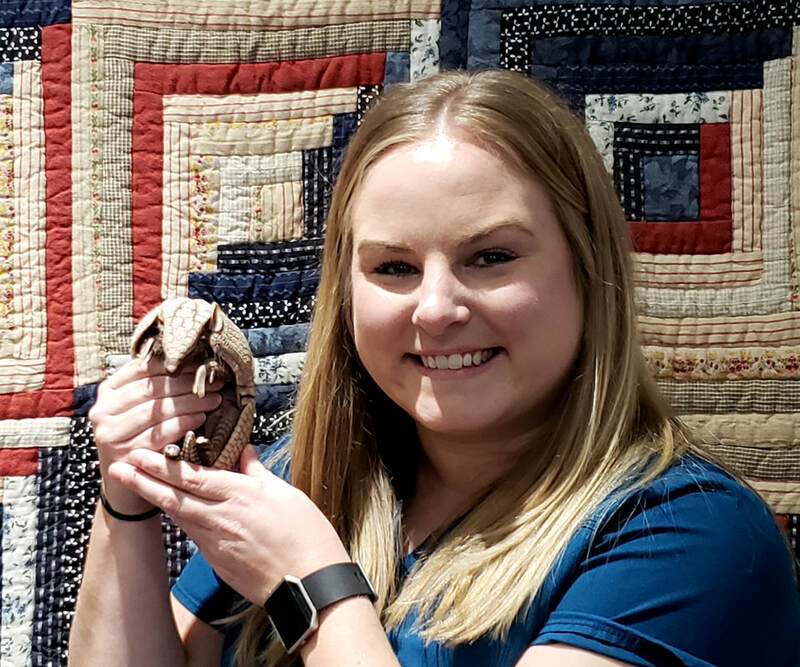 Dr. Hochstein went on to become a graduate of Purdue University College of Veterinary Medicine, and she has a passion for all creatures, big and small! She has many four-legged kids at home and knows the importance of the human-animal bond, believing our pets are also our family. In her free time, she enjoys playing soccer, reading, board games, and spending time with family and friends. Dr. Lake grew up in Macomb, Michigan. She attended Slippery Rock University of Pennsylvania where she earned a bachelor's degree in Biology. While there, she competed as a Division II athlete on the volleyball team. In addition to her school work and volleyball, she was awarded the George Smith Research Grant to study the behavior of Firemouth Cichlids, was a member of the Biological Honor Society, and volunteered her time at area veterinary clinics. After completing her undergraduate degree, Dr. Lake attended the Michigan State University School of Veterinary Medicine where her main focus included small animal and exotic veterinary medicine. She graduated with her DVM in the Spring of 2015. ​Dr. Lake is married to Dr. Matthew Lake and they have two little dogs (with big personalities) named Panda and Daphne. Previously, she has owned a variety of creatures including a Dutch rabbit, a leopard frog, and even an African hedgehog! Dr. Kelley is originally from Canton, Michigan. She attended Michigan State University for her undergraduate training, earning a Bachelor's degree in Zoology before remaining at Michigan State for veterinary school. Throughout her education she worked with local veterinary clinics, and also spent a summer rehabilitating wildlife. Her passions in the field include oncology and preventative medicine. Dr. Kelley has a husky mix at home named Marnie, and is hoping to add more pets to her family soon! In her free time she enjoys camping, traveling, watching Spartan athletics, and spending time with her husband, friends and family. Dr. Fisher is from northern Virginia, but she is excited to start her new life in Michigan! She earned her undergraduate degree at Virginia Tech in Animal and Poultry Sciences with a minor in Biology. From there, she traveled far from home to study at University College Dublin, an AVMA accredited school in Ireland! During veterinary school, Dr. Fisher participated in many externships focusing on wildlife and small/exotic animal medicine and pathology. She is especially interested in diagnostic medicine (disease detection). Dr. Fisher has 3 animals at home (not including her fiance! ): A budgie named Chip, a dog named Capone, and a cat named Mosby. In her free time she enjoys practicing yoga, enjoying outdoor activities on the river, and spending time with her feathered/furry family!